Chemistry is the study of the properties and reactions of the natural and synthetic substances that constitute the world around us. 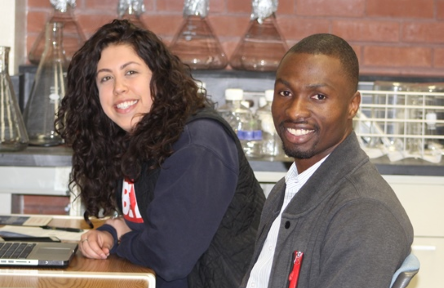 The discipline of Biochemistry uses chemistry as a tool to examine and explore the processes of life. Biochemical and chemical knowledge provides an underpinning for many disciplines including medicine, agriculture, and engineering. The questions that biochemists and chemists address encompass many critical challenges that humans face today. 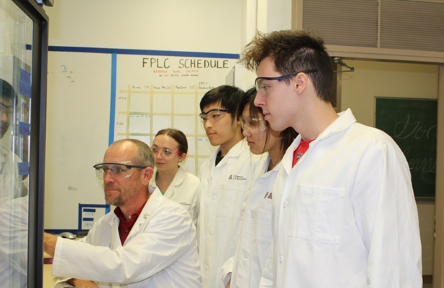 Our cutting-edge research programs span several traditional subdisciplines of chemistry as well as a broad range of multidisciplinary research programs including biological chemistry, materials science, surface science, polymer science, protein science, and gas phase and interstellar chemistry. The breadth and diversity of our program provides students considerable freedom in their Ph.D. studies. 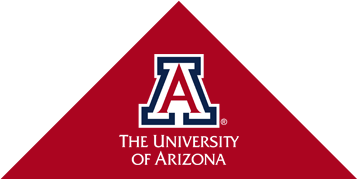 Graduate students may choose to be affiliated with any number of these programs, some of which provide research assistantships on a highly competitive basis. 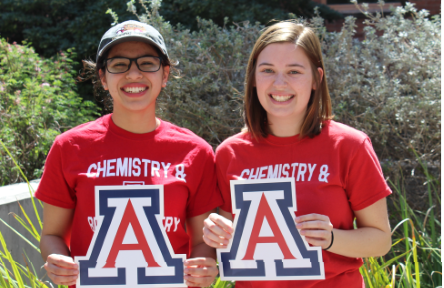 The Department of Chemistry and Biochemistry offers five undergraduate programs and strives to give students a strong theoretical background and the ability to apply what they know to a wide range of biological and physical systems. We seek to provide rich and varied learning opportunities to all students. In doing so, we engage in the development and implementation of student-centered teaching approaches, develop innovative educational resources, and work with our faculty, instructors, graduate teaching assistants, and undergraduate preceptors to reflect about and keep them abreast of educational research that can support their work in classrooms and laboratories.